federal and state standards. bull;Focus on the school administrator's role as an instructional leader and leader of leaders (Ch. 8-10) is congruent with current research and best practice. 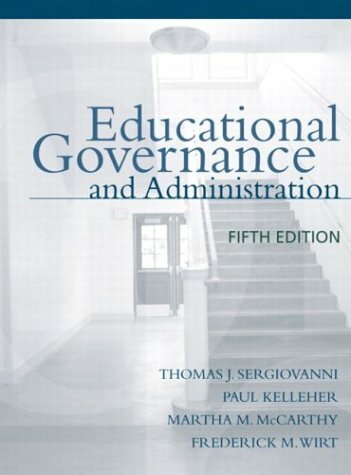 These chapters address how the roles of principals and superintendents have evolved. bull;Greater emphasis on school financing issues including vouchers and equity addresses a topic of concern for many leaders. bull;Provides the latest standards for preparing superintendents and principals as issued by the Educational Leadership Constituency Council and the National Policy Board for Educational Administration. bull;Completely updated and expanded legal treatment highlights the philosophical basis for legal knowledge about schools and emphasizes current decisions and dilemmas. bull;Greater emphasis on cultural and diversity perspectives in the development of schools. What Should Principals Not Do? What Makes State Education Policy?